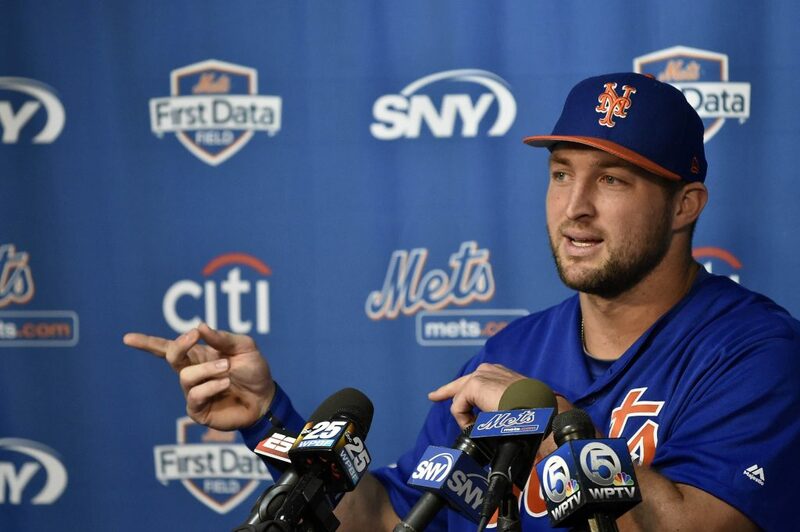 Divine intervention: Can Tim Tebow make it on the Mets? One of the most polarising athletes in the United States, Tim Tebow is someone that plenty of sports fans either love or loathe. But his decision to move from an abruptly ended American football career to the baseball diamond was a shocker to even his most dedicated fans. Since getting started with the New York Mets in their Minor League system, Tebow has failed to get his chance at playing at the top level. Can he get his career on track after being assigned to the Mets’ Minor League affiliate to start the 2018 season? For someone like Tim Tebow to have success in Minor League Baseball to get to the Major League, he needs to put up some big numbers to let those around him know that this is something that he can conceivably do going forward. In the case of Tebow, he has not been successful in that pursuit, as his statistics have been rather bleak during his time in Minor League. In fact, they have been bad enough to make it seem like he will not have a future in the game. In his first year as a Minor League player, Tim Tebow had a batting average of just .228 in 430 at-bats. He hit eight home runs and drove in 52 runs. The RBI number is probably the least dire of any Tebow related statistic during his brief baseball career so far. But his batting average combined with the fact that he struck out 126 times in his first year should make it clear that this might not be something that Tebow can do at a higher level. That strikeout number is particularly galling because it shows that he struck out in more than one quarter of his at-bats in his first season in Minor League action. Baseball is trending in a direction where players are either striking out or hitting home runs in more of an all or nothing approach at the plate, but Tebow did not have the power numbers to make that situation work in his favour. He hit eight home runs, compared to all of those strikeouts. It is also worth mentioning that Tebow put up these less than stellar numbers while playing in the single A level of the Minor League. Tebow had trouble against what you would consider to be the lowest level of Minor League Baseball competition, as he would need to progress through the AA and AAA levels of the Minor League in order to earn a shot with the MLB club he is affiliated with. That club is the New York Mets, and Tebow’s performances would make it hard to believe that he deserves a chance to play with them any time soon or that he could help them get to a World Series with his talent limitations. Despite all of the information above, Tim Tebow earned a promotion and will be playing for the Mets’ AA club at the start of the new Minor League season. That club is the St. Lucie Mets, and everything about the move looks more like a way to drive ticket sales for the Minor League club than it looks like a move designed to make the team better or help Tebow get better at baseball. The St. Lucie Mets are based out of Port St. Lucie in Florida, where the Mets also do their spring training program before the start of every MLB season. Tim Tebow just happened to make his name as the quarterback of the Florida Gators back when he was playing college football, with whom he won a Heisman Trophy and led the team to a national championship. Tebow is a legend in the state of Florida, where people worship the ground he walks on. It makes a lot of sense for the Mets to send him there so he can soak up some of that adulation, while generating plenty of ticket sales for the club. Mind you, none of this has anything to do with his ability on the baseball field. Tebow is still a subpar baseball player who has a ton of improvement to do if he wants to see a Major League field. But this is a great arrangement for both Tebow and the Mets. Tebow gets to continue being an athlete, which has been his life’s dream. And the Mets get to boost the popularity of their Minor League clubs, and get their other players additional exposure in the process. Tim Tebow also has a very interesting situation on his hands when it comes to balancing his Minor League Baseball career and his other pursuits. Tebow is an analyst for the SEC Network, where he talks about the latest happenings in college football from the perspective of a former champion in the sport. This requires him to travel away from the team to take care of that business, and then back to the team when it is time to play again. As such, Tebow does not often find himself travelling with the rest of the Mets’ Minor League squad as often as other members of the team would have to. While this is not a big deal, baseball is a game full of unwritten rules and there could be eyebrows raised about what could be seen as special treatment in favour of the former quarterback. In a game like Minor League Baseball, where team travel is usually by bus and not glamorous, having to see a teammate being flown around to do media appearances and then back to the team in whatever city they are in could ruffle some feathers. 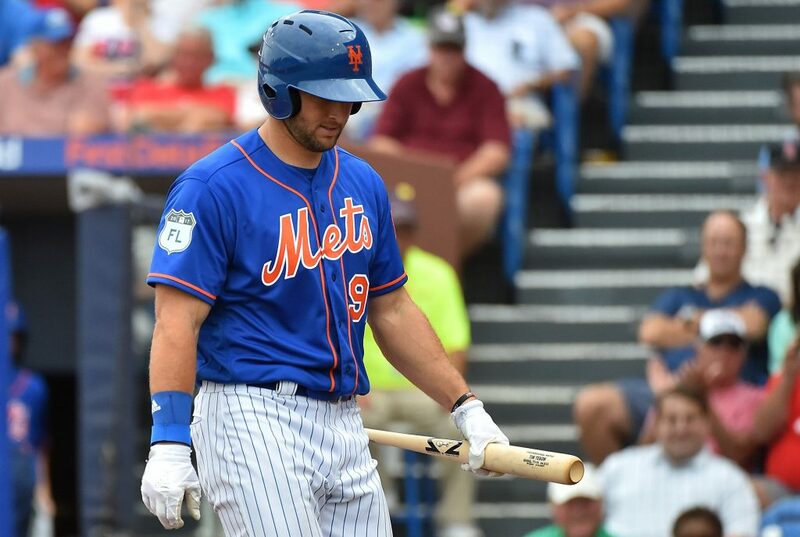 In all, Tim Tebow’s assignment to the New York Mets Minor League system ahead of this season probably will not kick-start a Major League career. The Mets could very well promote him to the Major League squad at some point this year, but it would only be expected if the team fell short of expectations and needed to find a way to boost ticket sales in the short term. Either way, Tebow’s numbers would have to improve to justify the move.